The Elephant Cave, also known as Goa Gajah, is an archeologically significant Hindu temple. The stone structure is believed to date back to between the 10th and 14th centuries. The history behind the temple’s name is unconfirmed. Enter through the dark looming mouth of a demon to step inside the cave. The demon is a kala head and has the bulging eyes typical of these sculptures. The cave itself is only small. See the ancient inscriptions and follow the narrow passageway to the end. On the left is a small alcove with a statue of Ganesh and on the right is a small worship area with representations of lingam, a symbol of Shiva, and yoni, a representation of female creative energy. Descend the stairs to the gardens with the pond of Patirtaan, which is said to contain holy water and is used for ceremonies. Check out the statues around the fish pond and lily pond; these depict Widyadara-Widyadari angels. You need less than 15 minutes to see the Elephant Cave complex. It is still worth coming here, however, because the journey is scenic and the surrounding rice paddies and other temples in the area are good photo opportunities. Set out exploring and visit the small waterfall in the valley, stroll through tropical gardens, or inspect the nearby Buddhist temple. Elephant Cave is open daily and there is a small fee to enter. The site is located west of Bedulu Village in the Blahbatuh District, Gianyar Regency. 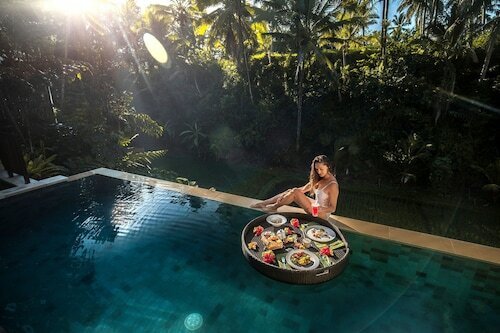 This is just 4 miles (6 kilometers) from Ubud. To get there, book a tour or rent a vehicle. Free parking is available. You can pay a local guide to show you around, but if you don’t to do this, it’s useful to know the word “tidak” (no), because the local guides can be persistent. Women need to cover their shoulders and both men and women should wear a sarong. You can buy a sarong at stalls near the entrance. Your next big adventure is waiting for you! You might like to try a Private Tour: The Beauty of Ubud or a Full Day Ubud Tour: Culture, Arts show, Waterfall &Rice view. Have a look at our Kemenuh things to do page to learn about even more activities in the area. 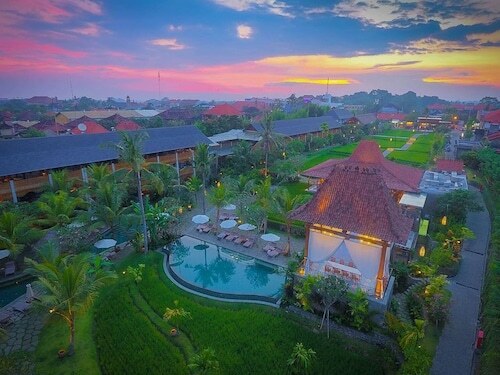 This family-friendly Ubud hotel is located in the mountains, within 3 mi (5 km) of Goa Gajah, Ubud Monkey Forest and Ubud Royal Palace. Ubud Traditional Art Market and Campuhan Ridge Walk are also within 3 mi (5 km). 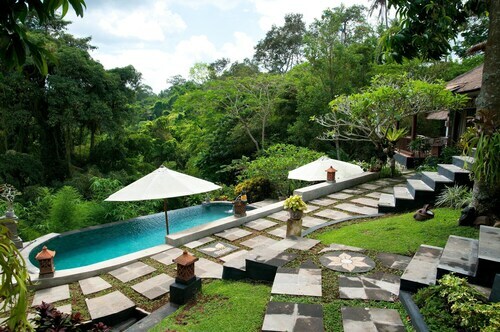 Situated in Ubud, this spa villa is within 1 mi (2 km) of Goa Gajah and Puser Tasik Temple. Ubud Peliatan Balerung Stage and Agung Rai Museum of Art are also within 3 mi (5 km). 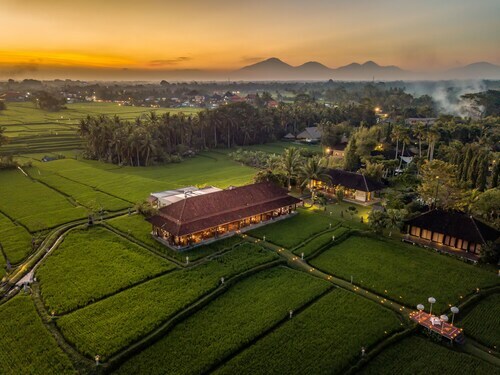 Maya Ubud Resort and Spa sits between the Petanu River valley and the verdant rice fields of Peliatan, with 107 luxury guestrooms and private pool villas. Restaurants, galleries and shopping are 2 km (1 mile) away. 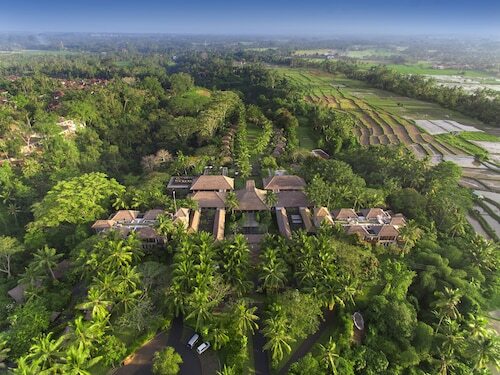 Situated on a river, this luxury bed & breakfast is 1 mi (1.6 km) from Goa Gajah and within 3 mi (5 km) of Ubud Monkey Forest and Ubud Royal Palace. Ubud Traditional Art Market is 3 mi (4.8 km) away. 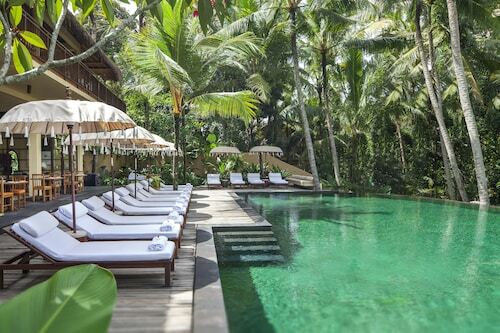 Situated on a river, this resort is within 1 mi (2 km) of Goa Gajah and Puser Tasik Temple. Ubud Peliatan Balerung Stage and Agung Rai Museum of Art are also within 3 mi (5 km).